NASHVILLE, Tenn. (CelebrityAccess) – Reviver Records announced that they have hired industry veterans Gator Michaels (Senior Vice President), David Shaw (National Director of Promotion), Kim Stephens (Regional Southwest / Midwest Promotion) and Amara Hall (Regional Southeast Promotion) to its in-house radio promotion department. Skip Bishop's consultancy firm, Studio1Bee, will serve as Reviver's Executive Advisor. 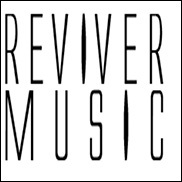 Reviver founder and President/CEO David Ross said, "When I started Reviver Records, my intention all along was to have our own in-house promotion staff. You take the necessary baby steps to grow the business… slowly and methodically. With the help of others, you get to that point where it becomes necessary to bring on your own people to get you to the next level and beyond. Now, I have my dream team in place, with more to come. My primary focus is to give my artists the shot they so richly deserve for success. Period."